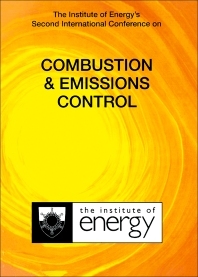 The Institute of Energy's Second International Conference on Combustion & Emissions Control presents the proceedings of The Institute of Energy Conference held in London, UK, on December 4-5 1995. The book, divided into seven parts, covers papers on combustion and emission control, energy from waste and biofuels, mathematical modeling for industries, and the plant performance of combustors. The text describes industrial burners and furnaces, advanced power generation, and internal combustion engines as well. The concept of on-board fuel reforming; the conventional and novel methods for particulates; and turbo-compounding schemes and engines are also considered. Combustion and gas engineers will find the book invaluable.